Why use a park plan? When you visit a theme park, there is so much to do and see — and lots of frogs in the pond, so to speak! Knowing the optimal time to visit each ride, show or character can save you hours of time waiting in line! Our pre-set park plans are best for families who like following a schedule but don’t want to do all the planning themselves — they just want to hop to it! Families who want more flexibility than a park plan, don’t want to arrive ahead of park opening and want to decide which rides they experience, should use our general map. Did you know you can create your own custom park plan using our Orlando Planning App? If you want a little more flexibility, you can modify our pre-set plans to fit your family’s needs! We’ve created this one-day park plan so you can experience Epcot®’s most popular attractions with the lowest waits, prioritizing rides that should be visited within the first hour, and within the first two and last two hours. This plan assumes you are starting within the first hour of park opening, taking a break in the afternoon and then returning in the evening. It also skips over lesser-priority attractions to provide more opportunity to explore World Showcase. 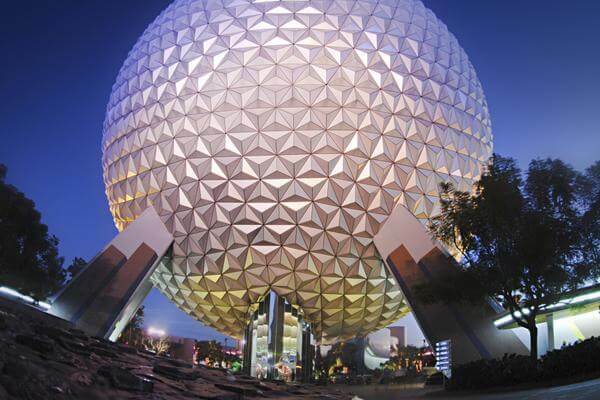 For foodies and culture buffs, Epcot® could easily become a two-day adventure. Make advance FastPass+ reservations for Frozen Ever After, Epcot Character Spot and Spaceship Earth®. Aim for the times listed below. Remember, you can modify your one-hour selection times within My Disney Experience! Note Using FastPass+ at 12 p.m. Note Using FastPass+ at 6 p.m. 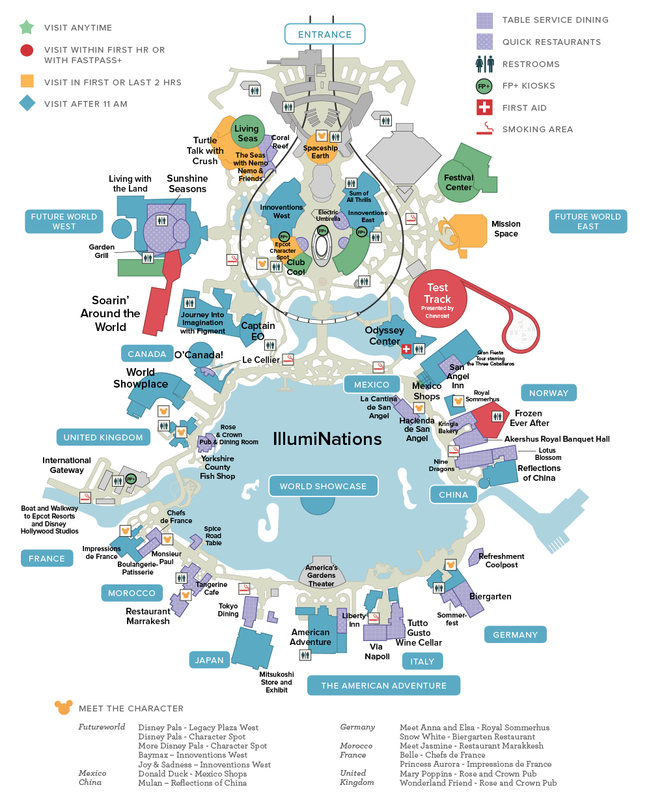 Note Using FastPass+ at 7:05 p.m.
For those of you who don't plan to arrive at park opening or want more flexibility than a park plan, our general map is the easiest way to determine at a glance the best times to visit Epcot®'s attractions. We frogs aren’t just good for our toadally awesome savings – we’ve mastered the art of the family vacation and we’ll help you save up to four hours a day using our exclusive park plans, interactive apps, and predictive crowd calendar. Hop along and leap past those lines with us!